Delhi: The DAV College Managing Committee has empaneled Tata ClassEdge for the implementation of technology-enabled classrooms in 900+ DAV Public/Model Schools in the country after a rigorous selection process. The DAV Group is the largest non-governmental educational society in the country managing 900+ educational institutions spread across the country, employing 60,000+ people and educating over 20 lakh students every year. DAV institutions have been running smart classroom technology for the past 16 years. Tata ClassEdge, with its currently 20,000+ classrooms strong base, is a leading provider of technology enabled educational solutions in the country. This empanelment with the DAV Group, would add to an already impressive clientele of progressive schools for Tata ClassEdge. Commenting on this association, Shri Nirav Khambhati, CEO of Tata ClassEdge, said, “We take great pride in associating with the best schools in India and it is nice to receive this vote of confidence from the DAV Group. Our strong partnerships with such progressive schools across the country have enabled us to understand the technological needs of the modern classroom. 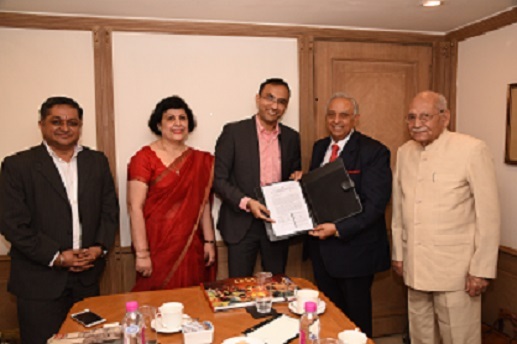 The sheer scale of this partnership with the DAV Group would help us to not just positively impact the lives of a large number of students, but would also support us in our endeavor to stay at the forefront of implementing technology in education.